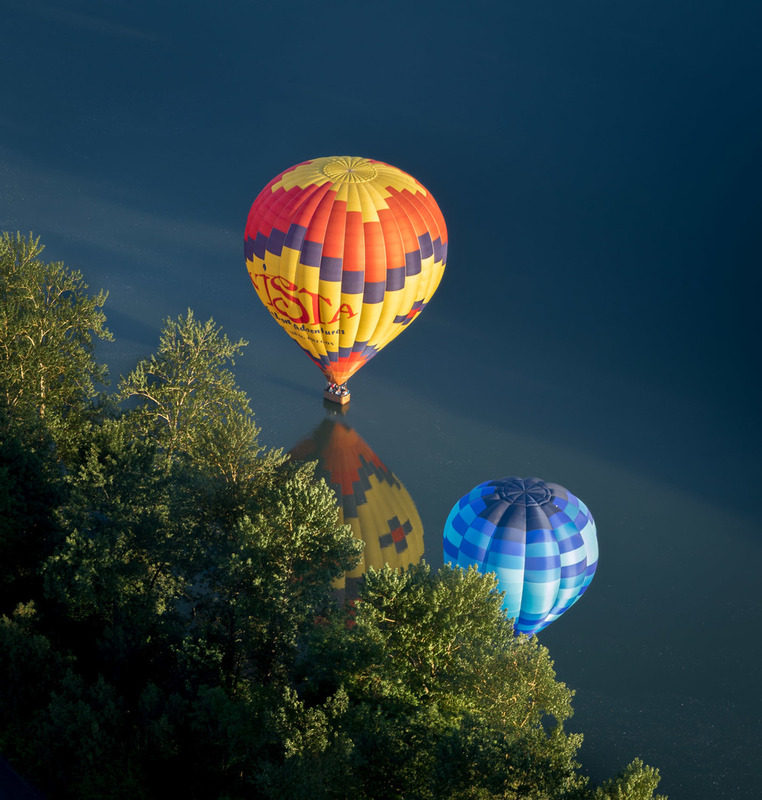 The oldest form of controlled human flight is the hot air balloon. (Most boys have experienced uncontrolled flight by the age of 4 but that is another story.) The French first made balloon flight work in the 1700s. Since then the principle hasn't really changed. Fill a bag with hot air and attach it to a basket. Add people to the basket and use the hot air and the wind to blow you somewhere else. 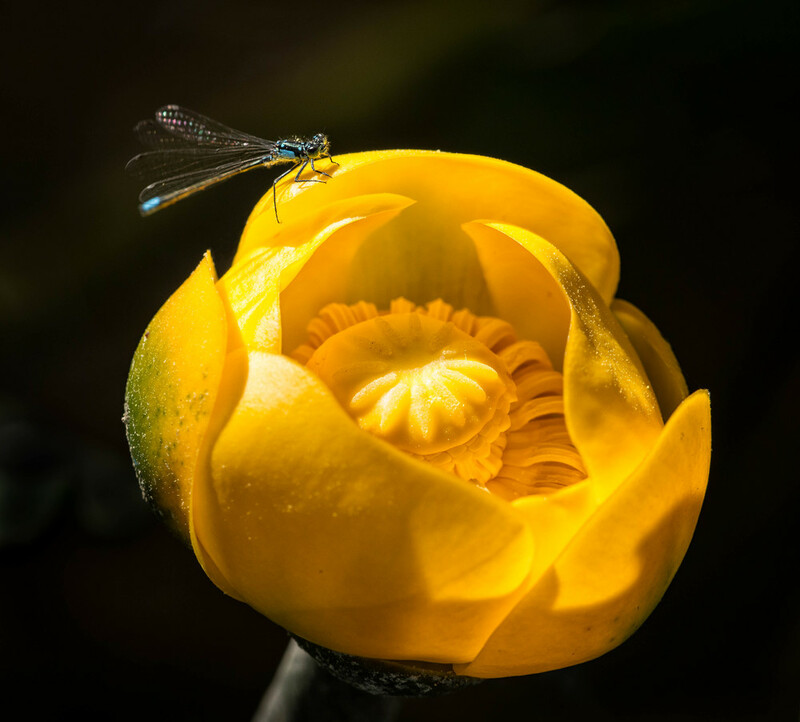 Of course nothing is really that simple, but it is sure simpler than some other forms of flight. The perspective is also different than most other forms of flight. The view is lower, and slower, and vibration free. Even the sound is different - the sound of the burners igniting and pushing hot air up into the bag, then quiet except the sounds from the ground below you. Quiet is not generally associated with other forms of flight. Even sailplanes have a constant sound of air flow. This lower and slower and quieter form of flight fits nicely with how I like to do photography. I like slower and quieter. And lower is certainly more scenic than 35,000 feet. In the middle seat. In front of the 2-year old on his fathers lap. For what seems like 237 hours. Hopefully these photos share some of the feel of hot air balloon flight. Lower. Slower. More peaceful. On April 19, 1987 the last remaining wild condor was captured and removed from the wild. There were 22 condors still alive. Twenty-two. Behind the wire. The last passenger pigeon and the last Carolina parakeet died behind the wire. It looked like the California condor might suffer the same fate: an ignominious end to a species. There are 435 California condors alive as of December 31, 2015. That's almost 20 times the population size in 1987. And 268 of those birds were in the wild, outside the wire. 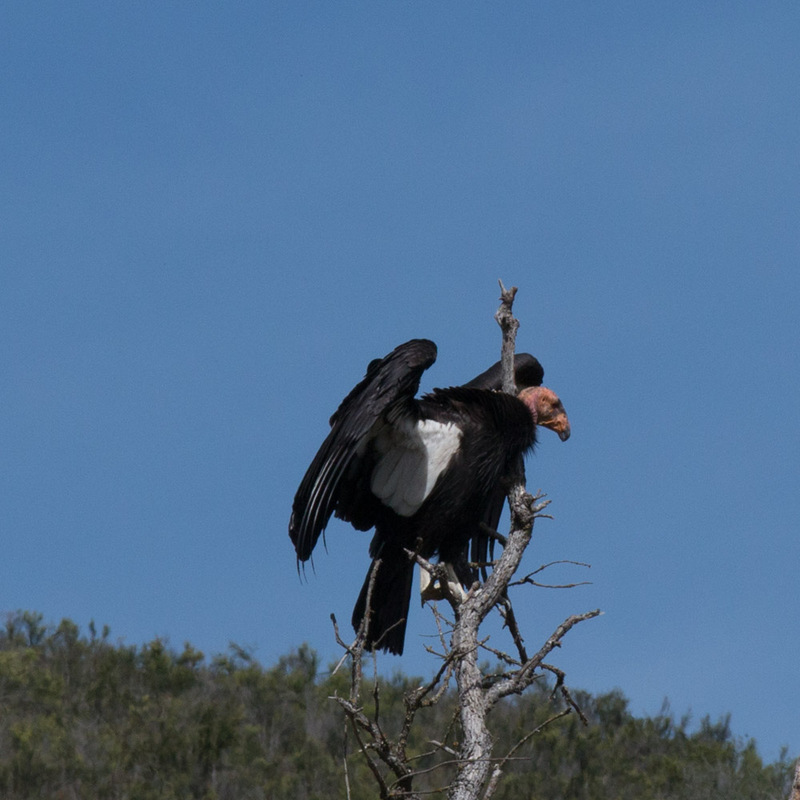 In California, there are 155 individual condors in the wild. If you travel to the wilds of central California you stand a chance of actually seeing one or more, outside the wire. March 2016, found us on the road to Pinnacles National Park. We knew we would be in the heart of condor habitat, but would we see any? The first stop in almost any National Park Service unit is the fee booth, where we asked: "Seen any condors?" "They've been roosting in the evenings on top of that ridge above the campground." Cool. That evening we looked up at the ridge and saw a flock of large dark birds soaring on the currents. 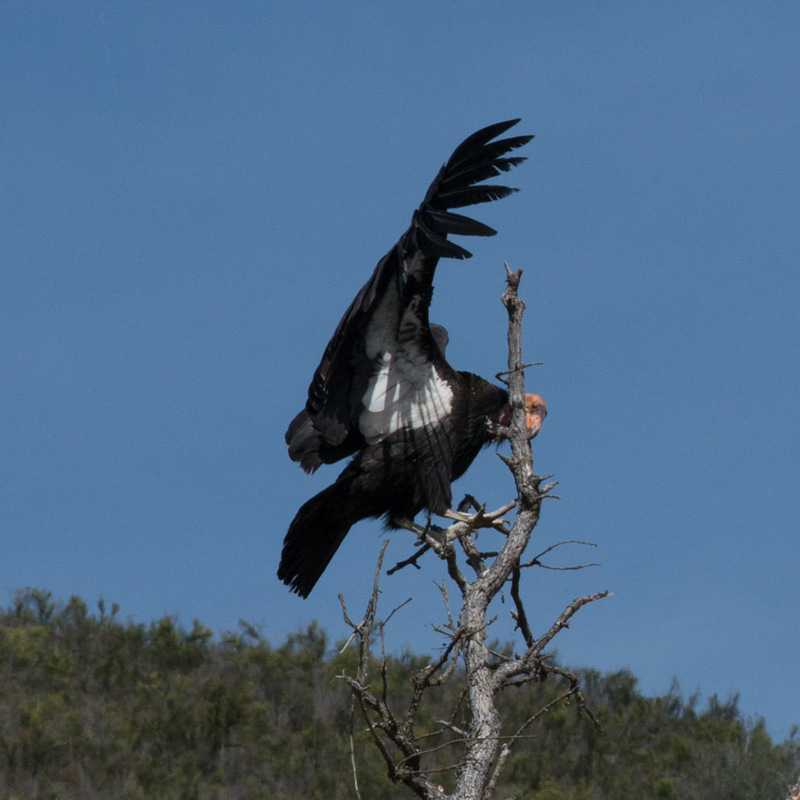 We're not sure how to describe seeing the wild condors flying about ½ mile away. They certainly were not attractive with their puffy, swollen red heads (adults), but they were nonetheless impressive in size, soaring on the thermals with their two flat, surfboard wings, decorated at the ends with long “fingertips”. Nearly twice the size of the turkey vultures they hung with; helping us comprehend the scale of these gigantic birds with their 8.5 – 9.5 foot wingspans. We saw two more soaring high over the Park the next day as we hiked the peaks. We also encountered a biologist from the Pinnacles condor crew monitoring some of the individual condors' radio transmitters. We had a nice conversation with the man and we noticed other hikers also engaged him in conversation. The biologist was a good ambassador for the condor recovery program. He and his co-workers have much to be proud of. 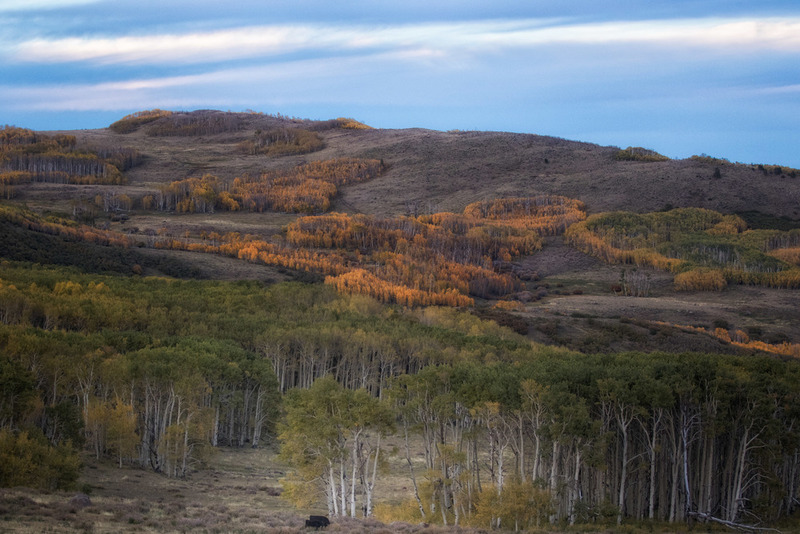 The recovery program is a triumph of wildlife management. 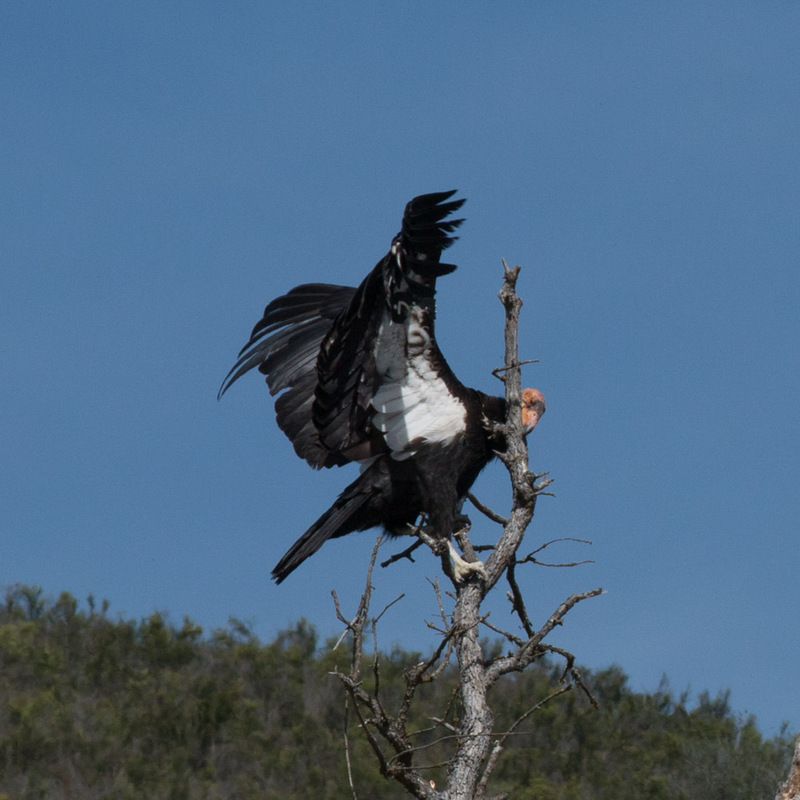 The next morning we were fortunate to see nine condors up close when they landed in trees a couple hundred feet beyond the campground. The first time they’d landed there according to members of the condor monitoring team who were also watching. Later as we drove off we tried to settle on a word to describe the condors. Playful - we watched their antics for over an hour while they warmed up in the morning sun. Curious – which gets them into trouble picking up tin, lead bullets and other indigestible and poisonous human trash. 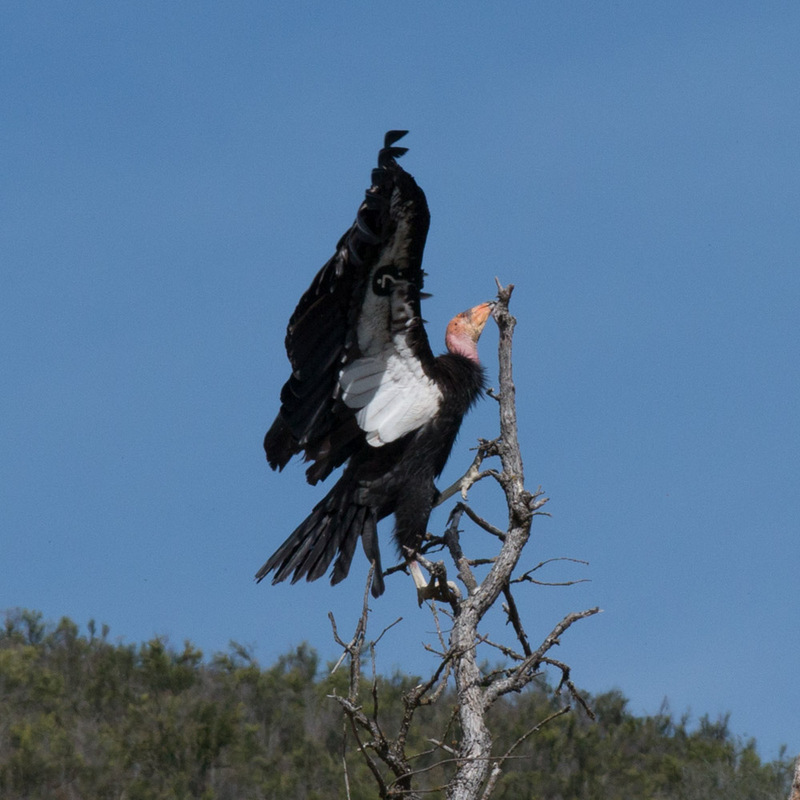 Social – picking at each other, pushing and pestering younger condors (with black heads) off the tree, and interacting in ways we could not interpret. Clumsy - using their chicken-like feet, wings, and beaks to help climb the branches. Ponderous - considerable effort to flap those oversized surf board wings to take off between protruding branches and other obstructions; a nine-foot prehistoric creature ascending directly overhead. ... and outside the wire! Birds. We like birds. We are not fanatical about it. We aren't even close. We know people who will drive several hours to see a rare bird. Okay we have taken the occasional trip to see new birds we haven't seen before but it isn't like we get all gooey and squishy inside when we hear there is a black-headed gull hanging out at some local dumpster. But still, we can get excited when a new bird shows up in the yard. The other day it was an odd finch. Not odd as in: "Johnny Depp is an odd human". Odd as in: "You all aren't from around here now, are ya?" kind of odd. This wasn't our usual finch. It wasn't a goldfinch, not a house finch either. And it wasn't one of the large gaudy grosbeaks. So what to do about it? Dig into the bird books. After multiple consultations of photos, drawings, paintings, descriptions of plumage, consulting range maps, examining bill characteristics, and some waffling we settled on an identification. A female purple finch had come to visit our feeders. Sure most people wouldn't care that a purple finch showed up with the house finches. Heck, most people don't even know that there is a difference between a purple and a house finch. And there's a Cassin's finch too? Whaaattt? Yet, if you are interested in the non-human part of the world, you probably find these differences fascinating. Darwin changed the world after spending time among the finches. One of our bird apps says in North America there are 89 species of the family Fringillidae (the taxonomic family finches belong to). We also learned that a group of finches is called a charm. Seems about right. "Did you hear? The Turners changed their website"
It was time for a revision. Sometimes you just don't like something so much. Maybe you finally outgrew that boy band. Maybe you got tired of bell bottom pants or maybe it was time for a new paint scheme in the house. Maybe you have a new shiny toy you really like. So we have revised the photography section of this site. Basically, we had some newer photos that we felt were worth sharing. We also wanted to get our favorites from 2015 into one place. Out with the bell bottoms and on with the new paint. Sure, change can be hard. Maybe you really liked that boy band. Hopefully, you can find new favorites here. (No new boy bands though.) Please, if your favorite photo is gone send us a comment with a description of what is missing. No promises, but maybe we will put it back up. And who knows, maybe we will get something even better up soon. So come on back often. You never know what might be added. Continued overnight cloudiness, rainfall and thunderstorms precluded the morning sunrise imaging tasking. We drove to the prime imaging spot of Dead Horse Point. Visibility was limited to 100 feet or less by dense fog. The Crew then returned to the VC for this park unit. The crew was trained in additional geologic information and in the intricacies of the adjacent KCl (potash) mining operation. Even after our training was complete, dense water vapor mostly obscured the view at the VC. Increased airflow along the cliff walls did result in some clearing and some imaging was accomplished. The Crew again returned to the Point of the deceased equines. A note here about this local place name. Apparently, the Point area was a capture, sort and cull location used by local cowboys to obtain new equine genetic stock from groups of feral equines. Non-selects were left to expire as there is no surface water (other than small pools of rain water), hence the term Dead Horse Point. Of course this still leaves open the question why the term cowboys. Why not horseboys? Or presumably the work was not that of child laborers and the term horsemen is most appropriate. And since there were apparently multiple non-selects among the feral horse population (named broomtails) why not Dead Horses Point or even Dead Broomtails Point. The Crew is still confused by naming conventions in this area. As the Crew returned to the observation point at the end of the road, in the area of the deceased, poor genetic quality equine selection area, the water vapor was still not dispersing. The Crew made the decision to transit around the transportation system to the Canyonlands Park unit. The Upheaval Dome foot recon was accomplished. This geologic feature is claimed to be a result of a small meteorite strike. Originally this was thought to have been from a bursting bubble of salt from the underlying salt layers, sort of a geologic zit. The Crew found the meteorite scar theory more heroic. Regardless of source, the trail across “slick rock” sandstone to steep overlooks into the colorful crater was entertaining. Imaging equipment was deployed. For the evening image tasking we returned to the Grand View Point Overlook at the southern end of this sub-unit’s vehicular transportation system. Imaging equipment was deployed. However, a broken wall of gray, stratified clouds remained in the west restricting lighting to small spots of low brightness in an otherwise moderately shadowed landscape. Lighting was neither colorful nor bold. Imaging results are not expected to be good. Returning to Collect the Good Equines, Leave the Crummy Equines to Die Point SP more rain showers were encountered and very distant lightning observed. As the planetary satellite is approaching full luminance, stars are becoming difficult to see, additionally high cirrus is obscuring faint stars and astronomical features. Post-sunset imaging is again cancelled. Although a transit day, we planned to implement sunrise imaging protocols in the hope of finally catching beneficial lighting. Again, overnight rain left the area covered in overcast and pockets of water vapor. The VC observation point was checked and deemed unsuitable. The Point of the Deceased Broomtails was checked and also found to be unsuitable in dense water vapor. However, a break was noted en route to camp and the First Officer took a limited subset of the imaging equipment and made a quick foray to the canyon edge. He was able to observe some marginally satisfactory lighting conditions and an ephemeral waterfall. However, the Captain assumed the First Officer had exceeded the allotted time for his task and run afoul of poor footing ultimately ending in his untimely demise. After only a few moments the crew reunited. The First Officer thought the Captain somewhat frantic. The Captain was not amused. The First Officer may be in trouble. As this was a transit day, camp was packed (in a moderate rain) and the Puma Palace and Power Unit “Buzz” departed for the political subdivision of Nevada. In preparation for this leg, the Captain had procured a text on geology visible from most of the route we would be travelling. Reading this book we became familiar with terms such as Laramide orogeny, overthrust, crossbedding, backthrust, splay, dip, bed. We suspect geologic terms were developed by single, frustrated, males. The Crew made bivouac at the Cathedral Gorge SP in the Nevada political unit. This park is an eroded large water channel near the village of Panaca. Rain showers were observed in the area but not experienced at this site. The Captain deployed imaging equipment to record the colorful cliffs. The First Officer observed the local avifauna. No highly unique species were observed by the First Officer. Also observed were training sorties by Gen4 aerial vehicles (F-16 and F-15). Although the First Officer hoped to observe Gen 5 vehicles (F-22, F-35) none were observed, possibly cloaking devices were deployed. As sunset approached a unique phenomenon was observed as one of the aerial vehicles transited through a cirrus layer. Shock waves from the craft caused the clouds to refract light differently resulting in multi-colored reflections similar to the effect referred to as a “sun dog”. Sunset itself was quite spectacular. Unfortunately, foreground and midground elements were not conducive to fully capturing an aesthetically pleasing image. The Crew strongly wished this sunset had occurred at one of the previous bivouacs. It is noted ASE Scottie offered Prospective Crew Member Intisar permanent social bonding status. Prospective Crew Member Intisar accepted said offer and has been promoted to Crew Member Specialist (Biological) pending ceremonial confirmation. The crew of the USS Puma Palace congratulate ASE Scott and CMS (B) Intisar on their pending new status. Additionally, we again welcome CMS (B) Intisar to the crew. This was a transit day across the political unit of Nevada. The crew transited the Extraterrestrial Highway. No known aliens were observed. We did observe the local bovine race being harassed by a low flying aerial vehicle referred to as a helicopter (specifically a Bell 47G model). 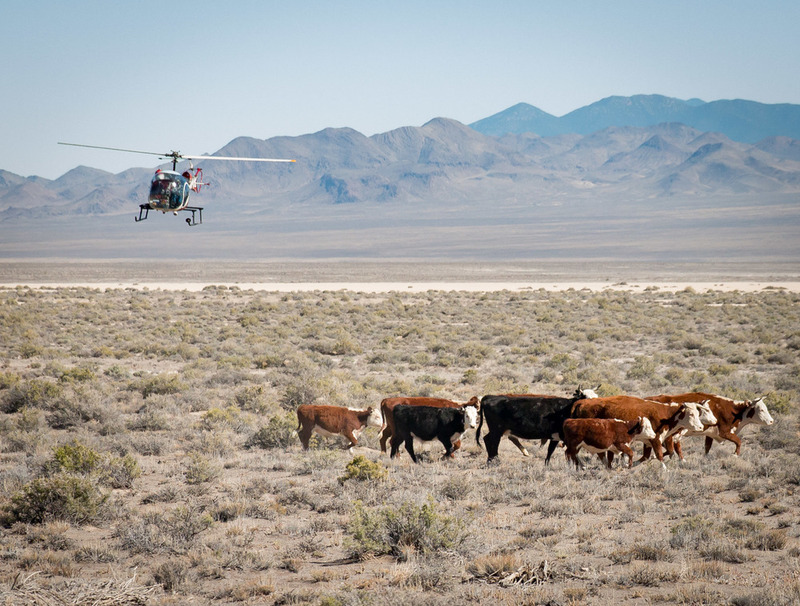 Would the individual conducting these flight ops be referred to as a cowpilot or a chopperboy? Probably not a Bellboy as that is a different occupation. We are unsure. Camp was made for the night at the same facility used previously at the community designated RNO. Again, sunset was better than at all locations in the Utah subdivision, Dinner included a local preparation involving raw fish. Note to crew: No gorging on raw fish prior to days involving long transit periods as the phenomenon referred to locally as “fish farts” is likely to ensue. The crew returned to the assigned permanent docking facility. Members of the Sciurid clan greeted us on arrival. Although the Puma Palace is somewhat the worse for wear, at least partially due to previously noted phenomenon, the mission was deemed successful. Maintenance period starts tomorrow. Log transmission complete. Awaiting further orders. Today is a momentous day for this expedition. It marks the end of our eastward progression and the beginning of the return towards Puma Base. Rain occurred overnight. Although the quantity was limited, we were glad not to be in the structure other expeditions utilize. This structure is known locally as a tent. We returned to our previous bivouac at the berg of Moab. After establishing our camp, we returned to the administrative park unit referred to as Arches. We were able to concentrate on the image tasking in the areas of “Park Avenue” and “The Organ”. The crew felt both areas were misnamed. We never really absorbed the name “Park Avenue”. It seemed that Wall Street was more appropriate: giant cliffs of red (ink? – Note check Crew financial planning on return.) We didn’t see the musical instrument in the Organ. Didn’t see any internal body parts either. We remain skeptical about the sobriety of the person in charge of naming conventions. Evening sunset image tasking appeared to be a bust. We waited at the “Fiery Furnace” for sunset. However, a massive wall of gray, undifferentiated cloud rose up out of the west and squashed the hopes of either an interesting sunset or any interesting light. This makes two evenings in a row when sunset light was rated “poor”. The crew was awakened to the sound of thunder, not far off, we didn’t have to wonder. Camp was quite noisy with the overhead storm and moderate rainfall. Again we were thankful the expedition was not in “tents” during the somewhat intense storm. This was also a moving day. The crew moved to the west and increased elevation significantly by moving camp to the Dead Horse Point State Park. This park is relatively small but is adjacent to the Island in the Sky sub-unit of the Canyonlands park run by the National park organizational unit. There were multiple signs of the pre-dawn storm having been moderately strong with soil moved over the roadway and large pools of water. After camp was established the usual routine of local area recon ensued. Dead Horse Point has a very nice view of the Colorado River as it has downcut through the landscape just north of its confluence with the Green River. The vistas extend south towards the Needles area we had visited on day 14. The crew then reconned the adjacent Canyonlands unit. This unit has an excellent overlook of the Green River (which is brown) and a view of the area of the confluence of the Green and Colorado Rivers. Vistas in this unit are also spectacular. The crew returned to the camp at the park of the deceased equine. Rain and thunder again interrupted the overnight rest period. The day began with a dawn image tasking at Dead Horse Point. A massive wall of gray, undifferentiated cloud rose up out of the east and squashed the hopes of either an interesting sunrise or any interesting light. The crew then shifted to the Canyonlands Park for additional imaging and to access some locations only available by foot. 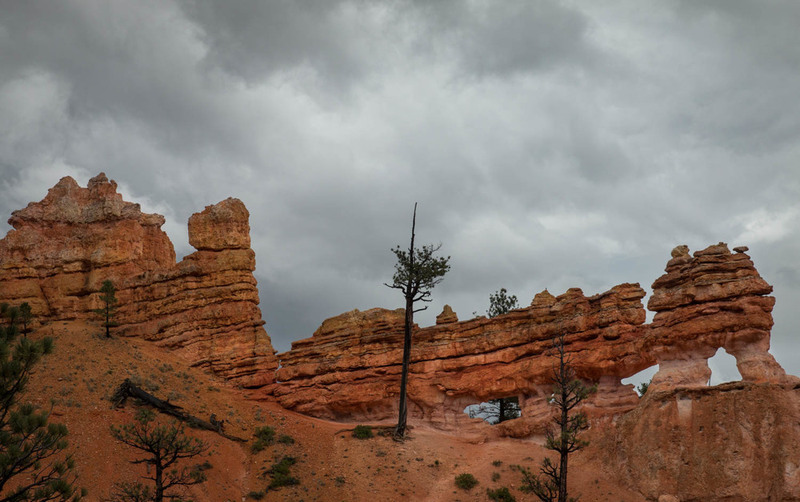 Increasing atmospheric instability and an approaching storm cell out of the south caused the crew to abort the plan to hike the “Upheaval Dome”. The crew diverted to the Green River Overlook and observed the massive storm cell as it approached. Lightning was observed within the cell and the lightning detecting trigger unit was deployed on the First Officer’s imaging equipment. Unfortunately the cell was extremely wet and most downstrikes were heavily shrouded within the rain shafts. Only one trigger event was observed and no successful captures made. As heavy rainfall enveloped our observation area, the Crew made the decision to implement the Recon Gambit. This led the crew to circle around as much of the cell as possible and reestablish our observations on the south side of the cell at Grand View Point. This maneuver was somewhat successful in placing the Crew in a location as the storm cleared. Imaging equipment was again deployed. Results will be evaluated later. The Crew followed the storm north. Imaging equipment was deployed as sunset approached at “The Neck”. This is a very narrow portion of the mesa/cuesta where the Green River watershed cliffs are within a few meters of Colorado River watershed cliffs. 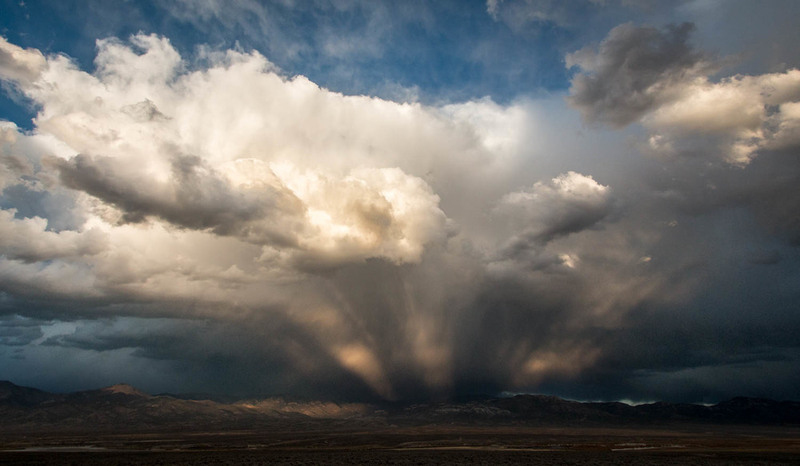 Although the location is spectacular, light was heavily filtered by the remaining clouds from the storm cell. While returning to camp it was noted that frozen lumps of precipitation (locally known as hail) still lined the roadsides. Apparently, the storm became quite intense in the northern portions of this administrative unit. Again we were thankful our expedition was not in tents. Evening imaging was cancelled due to overcast skies. This morning we transited from the Moab location to the Mesa Verde park unit. Upon arrival we were informed that the park is misnamed and should have been named Cuesta Verde as the park is not flat but sloped. We thought to point out to the Rangers it is not particularly Verde either. However, this seemed overly confrontational so we remained mute. We have also now transitioned into the administrative unit of Colorado. This unit is more agricultural than the previous administrative unit of Utah. We found this somewhat remarkable, thus the remarks in the log. Camp was established in a small valley at a place named Morehead. This Park has passed its seasonal peak and is in the process to enter suspended operation for the cold season. We were able to arrange places on two of the Ranger-led tours of the local archeological points of interest. This park is most famous for its prolific examples of masonry structures created by an ancient civilization in the cliffs within the park. We will tour Long House and Balcony House. The remainder of the day was spent on a recon of the Chapin sub-unit of the cuesta. We visited the park high point (8572 feet) and several roadside exhibits. Congratulations to Special Agent (Trainee) Turner on completing phase 1 of training. The first major tasking today was the Ranger-led tour of Balcony house. Because the tour location is some distance in travel time away from the camp, this was our first activity of the day. Although this was not a long activity it was somewhat strenuous. There were several ladders, including one over 30 feet tall, and a very small tunnel that had to be transited. The lack of vertigo and agoraphobia were clearly necessary to live in these locations. Image creation sub-task was attempted here but short time available hampered results. After the tour the crew visited all available displays and structures on the Chapin Cuesta (or Mesa as the locals incorrectly prefer). Foot travel for the day exceeded 7 miles. Many images were created but lighting was poor. We also visited a repository for artifacts. 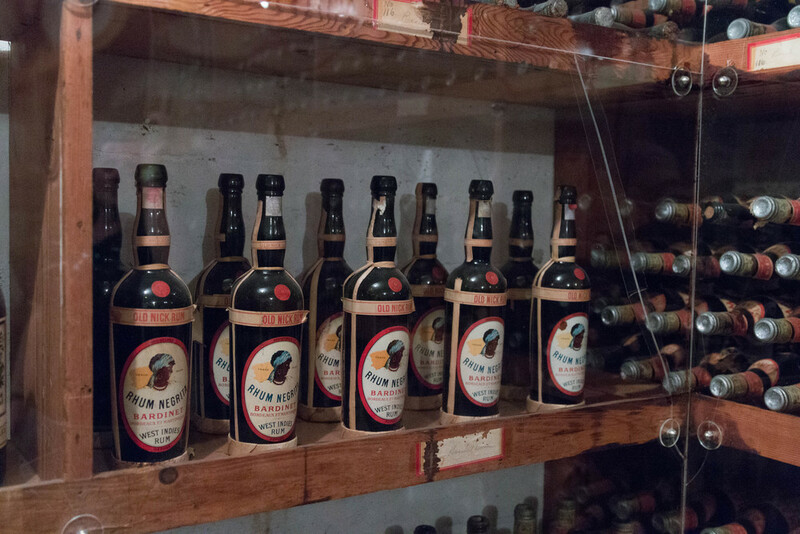 A great many items were on display and there was much verbiage associated with each display. The Captain made a valiant effort to intake and assimilate this information. The First Officer displayed a more lackadaisical approach. The First Officer is counting on there not being a quiz. The museum area was interesting but displayed some other odd quirks. Particularly interesting was the decision of the administrative unit to place a poorly secured metal ramp in the museum area. This may have been intended to attract unsecured small offspring. If so it was quite successful. It was also successful in creating loud metallic sounds; possibly intended for awakening any adult or sub-adult who became torpid after the large quantity of verbiage intake. Today’s first tasking was a tour of the Long House dwelling remains. This Ranger-led tour was over 2 miles. Conditions were cool and damp. Small group on tour enhanced our ability to attempt images of the ruins without people. After the guided tour, we walked through the Badger Pit House Community. These structural remains are partially excavated and then protected by steel buildings built over the remains. We speculated on how well the steel buildings might last in this climate and if they would hold up better or worse than the rock materials used by the indigenous people. Indications are not favorable for the metal structures. Also in this area was the self-guided trip to Step House. Only ourselves, a ranger and 2 other individuals were at this location while we were there. However, one of these individuals managed to stand every place the Captain was interested in image making. The frustration quotient warning level became elevated. The afternoon tasking included the self-guided trail to Spruce House. (This site is named for a tree, which is actually a Douglas Fir, which isn’t a true fir. Aspersions were cast on the cowboys/archeologists who named this site and their lack of botanical knowledge.) As this site did not require the public to pre-plan or dispense currency, it was quite crowded. This was quite different from the earlier tour. The ratio of loud children to attentive adults was quite high here, possibly in excess of 5:1. There may have been an inclination among some adults to push these unruly progeny into the thickets of skin-blistering foliage (local name: poison ivy) along parts of the trail. We did not observe any actual pushing or tripping. The frustration quotient warning level remained elevated. Evening image tasking was scrubbed due to extensive cloud cover and high wind. It is noted that this is prospective crew person’s Intisar’s date of birth. Congratulations to her on her survival. We began the day with a recon of the Colorado River canyon upstream of where we are encamped. The established camp locations in this canyon were attractive but extremely busy. The crew is scheduled to spend a day here later in the trip but may have to make other arrangements. Returning to the village of Moab, we decided to seek counsel at the local visitor’s center in order to obtain intelligence on local destinations and suitability for imaging tasks. The Captain made first contact with one of the two individuals manning this facility. The individual interrupted the Captain and said: “Don’t look at the map. Look me in the eyes.” Understandably this abrupt first encounter threw the Captain off her game. The First Officer took it upon himself at this point to investigate the free-standing information displays. The First Officer declared this to be an act of discretion leading to valor. The Captain later referred to the First Officer as having tendencies similar to a certain gallinaceous bird. Regardless, little useful intelligence was gained at this location. Without delay, we left the local burg and struck out to the south to visit a sub-area of the park known as Canyonlands. This sub-unit (The Needles) is approximately 50 of the local mile units to the south of the intelligence-gathering stop. This seemed to be sufficient distance between us and the “helpful” individual at the desk. This sub-unit is located off the main transportation route. The road from the main highway to the sub-unit is very scenic (although you wouldn’t know this from the visitor center personnel). The crew was greatly impressed but lighting was deemed “horrible” for imaging. This location has been noted for a possible return trip during the local meteorological condition known as the Monsoon. En route the crew stopped at a local point of significance known as newspaper rock. Many figures and symbols are painted and etched on a rock face. These symbols were put here by ancient aboriginal people. The Captain said it reminded her of the First Officer’s reports. This jurisdiction is a favorite for the vehicle known as an All-terrain transport or the vehicle known as a jeep. Operators of these vehicles appear to spend much time and effort in procuring the largest and knobbiest tires possible. These vehicles are then used to drive very rudimentary trails. This form of transport is very slow and hard on equipment. One participant told us that one of their crew walked to the distant overlook in the same amount of time as it took to move the vehicle there. We walked several of the local hiking trails and visited small pools of water where indigenous non-vertebrate species of animals live and a spring area where “cowboys” left behind their “cowjunk”. The cowjunk was in a remarkable state of preservation under a rock overhang. Some of the cowjunk included wooden tables and chairs, random metal stuff and some provision cans. We returned to the main village of Moab for evening repast and then proceeded to the Double Arch in the Arches Park. This was another imaging tasking. Tonight’s goal was to capture stars in the windows of the arch. We appear to have been moderately successful in achieving the task. While in the process, we encountered a group of 4 young adults who were visiting the arch, one of whom attempted to also create imaging with stars around the arch. She was obviously a neophyte at this task so we provided information transfer to assist her endeavors. She was very ecstatic on capturing an image with visible stars. We were happy to provide joy to another sentient being. We returned to camp at Moab for our evening rest period. This day was tasked for a wide area recon expedition. First, the crew again drove south. This time to the Needles overlook and the Anticline Overlook. The Needles location was quite scenic but lighting conditions continue to be sub-par with no clouds, abundant haze and harsh shadows. The midday repast was taken along the access road. The crew is becoming somewhat disenchanted with the midday menu selection. Logistics section has been charged with broadening the selection at the next provisioning opportunity. After the midday meal period the crew proceeded to the La Sal Mountains. Here a high quality gravel road loops across the western face of the range through more of the trembling leaf trees. Most of these trees have already lost their leaves. We explored a side route to Geyser Pass. No geysers or other forms of geothermal activity were detected. The Captain frequently claimed to have detected fumarole activity. The First Officer declined all knowledge of what the Captain was referring to. The Geyser Pass Road led to a swale (pass?) between multiple 12,000 foot peaks. These peaks had received their first snow of the season early in the previous week. More images were created. The crew heard “elk mating sounds” that the locals refer to as bugling. The crew wondered if these might be imitations as hunter-gatherers were in the area and it seemed early for elk mating to have begun. Returning to the loop road, the northern descent led first through a community of large housing structures nestled in the small and rather scruffy oak trees. However, these structures enjoy 100 mile plus vistas to the west. This may be a location where religious rites are observed, possibly some sun worship. This location appears to be a difficult location to reach in the winter portion of the year. Further along the Loop road we entered an area the locals call Castle Valley. There are no castles here. There are several large cliffs and fins of rock. Some of these have been bisected. The actual community was set away from the main access of the loop road. Possibly another religious community, potentially rock worshippers or disciples having taken a vow of poverty and separation from the larger society. Returned to camp and had evening meal period and early evening rest period. Tomorrow is an early call for a sunrise imaging tasking. It is noted that this is Special Agent (Trainee) Turner’s date of birth. Congratulations to her on her survival. The day began before sunrise with a trip to the windows area of the Arches administrative unit. The Captain and the First Officer separated company in order to maximize imaging attempts in this area. Although many images were created, results were mixed. Again, meteorological conditions were less than ideal. Large numbers of non-imaging individuals also visited this location. Reference discussion of morning at administrative unit Bryce Canyon. Today's main tasking was participation in a Ranger-led expedition into the Fiery Furnace. As previously noted this is neither a Furnace nor particularly Fiery (at least at this time of year). However, this set of features consists of many tall rock fins set closely together. In some areas normal adult individuals are forced to squeeze through the required passages. For some of the larger bodied individuals on the expedition this appeared to be rather taxing. This formation is very interesting and the young Ranger who led the trip kept the female expedition members enthralled. The male members thought he did a good job. The crew returned to camp in Moab in anticipation of departure in the AM for our most eastern point on this expedition. Today’s mission was a long-exploratory journey of the eastern portion of this administrative unit (“Park”). The crew transited the Notom-Bullfrog road to Surprise Canyon and then over the Burr Trail road to Boulder, Utah. During this exploration foot transects were made from the road. The first transect was made walking to the east of road looking at sharp low ridges with fossil bivalves and snail shells. Then transited directly west of the power unit Buzz towards a narrow canyon that could be observed in the middle distance (estimated by the First Officer as 1-1.5 miles linear distance. Captain disputed the estimate, estimating the distance to be much farther west). During this transect one low ridge of multicolored fine grain material was crossed. 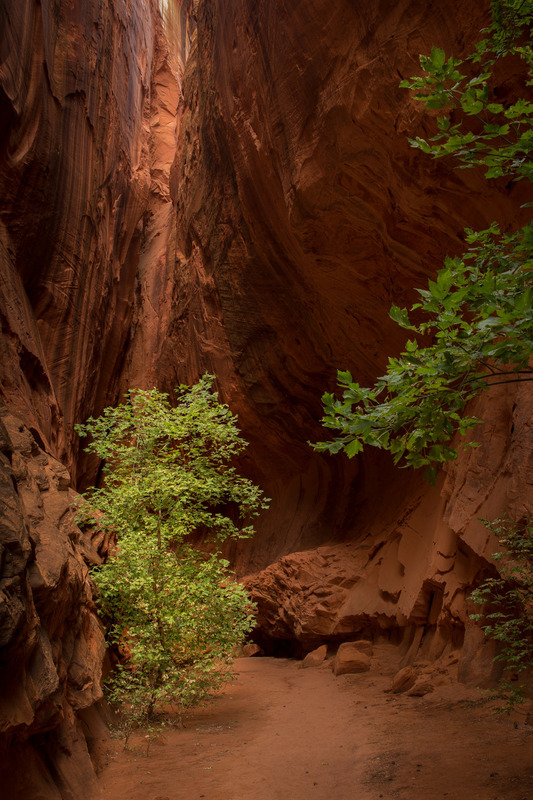 Then, following a sandy wash to avoid local microbial-enhanced soil crusts, the crew skirted a narrow slot canyon whose bottom was filled with water of undetermined depth and questionable purity. While crossing the hillside above the pool the crew observed early aboriginal spear points and stone tools. 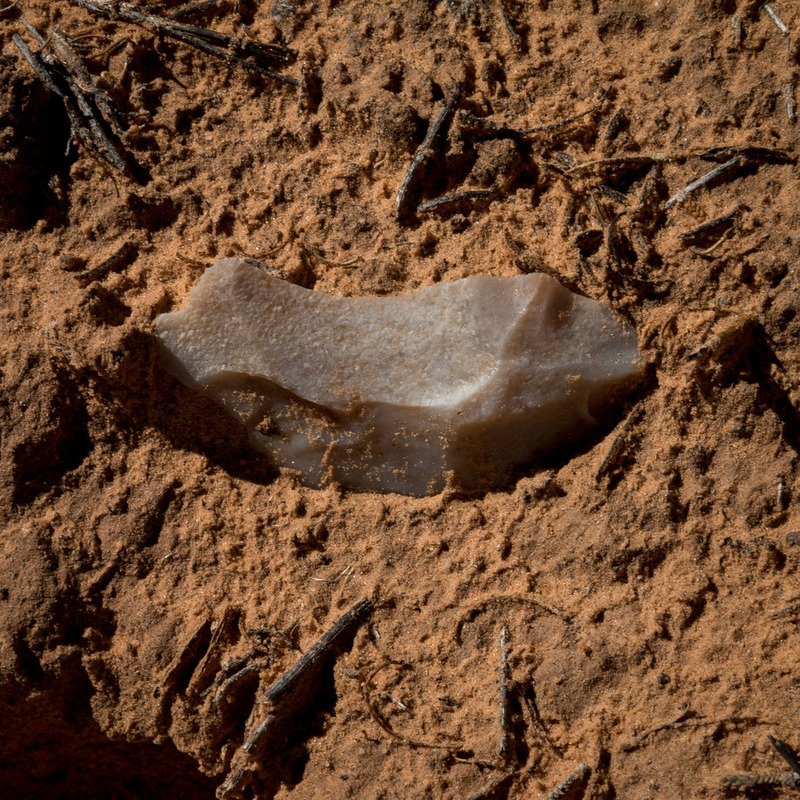 Many fragments from aboriginal tool making were also encountered. The Captain posited that the site may have been some form of aboriginal encampment. The First Officer located a nearby site where ungulate tracks from multiple individuals appear to indicate fighting or dominance determination. One track showed the imprint where one animal had been driven to its forelegs. The event was quite recent as the surface had been freshened by the recent rain of 3 days ago. The crew’s working presumption is a fight occurred over herd dominance and breeding privileges. The First Officer also located a mineral lick in same area, much less disturbed then the presumed fight location. These lend credence to the location being very suitable for early aboriginal hunter-gatherers. While returning to Buzz, the crew also noted a possible quarry location for tool material seen earlier. Per Fleet aboriginal observation regulations, all items were left in place. The crew will report these observations to the local administrative unit. The next walking transect occurred at Surprise Canyon. This is an established trail and leads into a deep narrow canyon. The crew did not travel far into the canyon as time and the ability to meet programmed imaging taskings was becoming an issue. Images were made but lighting was judged as lackluster. The crew did not encounter any “surprises” in this canyon. 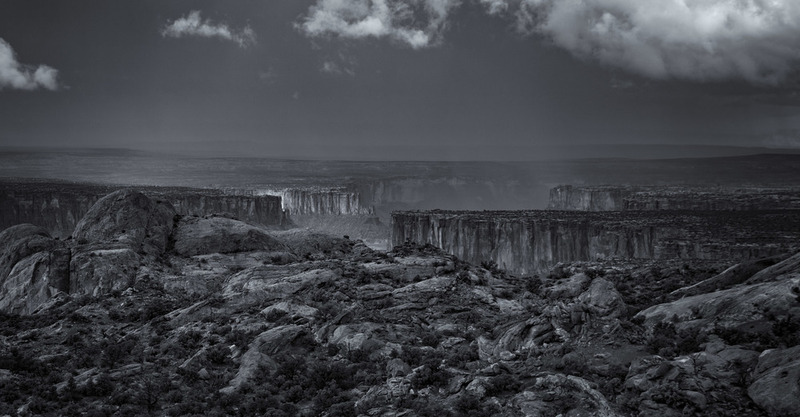 A strong storm upstream in the canyon could provide a potentially mortal “surprise” in the narrow canyon. But this is not unusual in this area. The crew remains uncertain as to the provenance of the name. The Burr Trail crosses the Waterpocket Fold. Shortly after the switchback section, the crew decided to delete a side trip to an overlook of the valley that we had spent the day surveying. There was a strong desire to return to the high land of Populus tremuloides (aka aspen, aka twinkly golden leaves) for evening imaging. It appeared that transit times would prevent reaching the Aspen Mountain with sufficient light remaining. Therefore, the planned stop at the valley overlook was cancelled and bumped to a future expedition. Fortunately, as the road changed administrative jurisdiction from NPS to BLM, the road converted to paved. A required bodily function break caused the crew to stop in a canyon adjacent to an extremely large tree known locally as a Cottonwood. 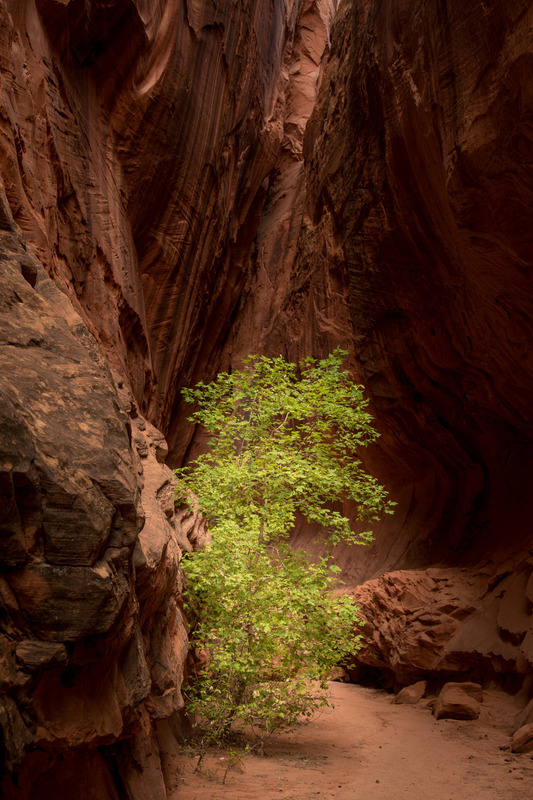 Behind this large tree was an extremely pleasant example of a “slot canyon”. Although not particularly long, this slot canyon displayed “nice light” requiring deployment of both sets of imaging equipment. The frustration quotient warning level was reduced to “moderate”. The Burr Trail eventually connected with a state arterial road at Boulder. We had previously passed along this segment en route to our present bivouac. During today’s return leg from Boulder to camp the crew stopped on Boulder Mountain (9500+ foot elevation) and took aspen pictures in the waning evening light. On the TSS (Turner Sunset Scale) the evening rated a 3.25. The frustration quotient warning level was increased to “elevated”. Arrival at camp was considerably after dark. Very long day, especially in front of an impending departure. Today’s main task was a recon of the park known as Arches NP. The crew conducted an extensive review of the main features of the park. We navigated the entire road known as Main Park Road. This is a busy thoroughfare frequented by operators who apparently received their vehicle operating permits from inebriated, one-eyed examiners. The local operators displayed an affinity for stopping for no apparent reason and for testing their skills at something referred to as “drafting”. Fortunately, no incidents occurred. The frustration quotient warning level remained elevated. The crew did decide to forgo one main attraction. The “Delicate Arch” was viewed from a distance and deemed not sufficiently worthwhile for a 3 mile round trip walk in the warm afternoon temperatures. This did not deter hordes of other visitors and locals from making the trek. Instead we walked to a location known as Landscape arch and practiced with the imaging equipment. The crew deemed the afternoon lighting “below acceptable” due to heavy shadows and clear skies. The crew also visited an ancestral “ranch” where early cattle managers had attempted to produce a profit by raising meat animals on land with no apparent cattle feed. The ranch structures were intimate, earthy, airy, and rustic. No wonder the “cowboys” often choose to sleep out on the ground with their horse. 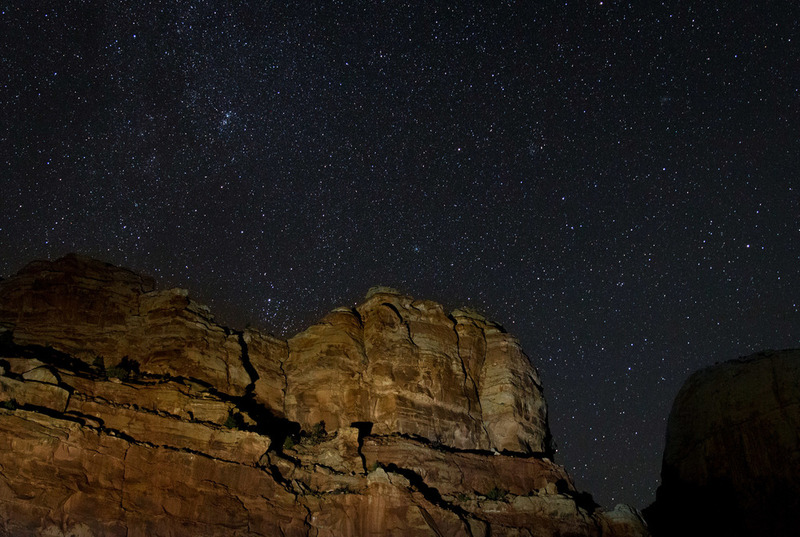 The evening imaging tasking was performed at a location known as Fiery Furnace. This location will be the site of a “Ranger led” tour in two days that the crew has agreed to participate in. These tours are quite popular with the locals so we shall see what the attraction is. As it turned out the sunset, was not a big attraction. Local meterological conditions provided a hazy, light blue sky that provided harsh glare, hard shadows, and no inviting colors. The crew is doubtful that on review the evening’s imaging task will be recorded as “successful”. Moved bivouac to Capitol Reef. This included crossing several interesting geological features. 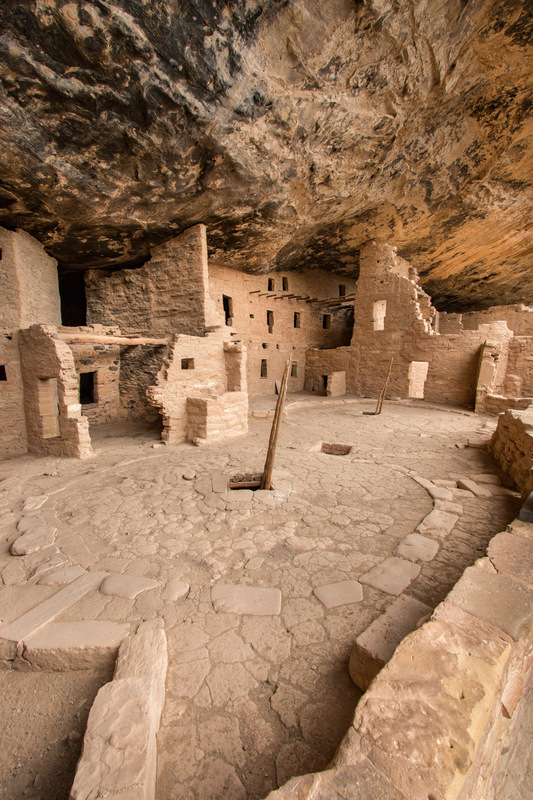 One feature was a series of white sandstone hummocks that dipped down to the Escalante River. Possibly this was Escalante sandstone, however we do not have a geologist attached to our expedition so we are unsure if this is correct. Then we climbed to the top of a 9600 foot summit. Informational signs stated the road was not paved until approximately 28 years B.P. Fortunately drive was relatively short and we were able to arrive early at our planned site in the historical district of Fruita. This is a popular campground and filled before noon, within an hour of our arrival. Weather is threatening but no rain during camp set up amongst the pome and pit fruit orchards. 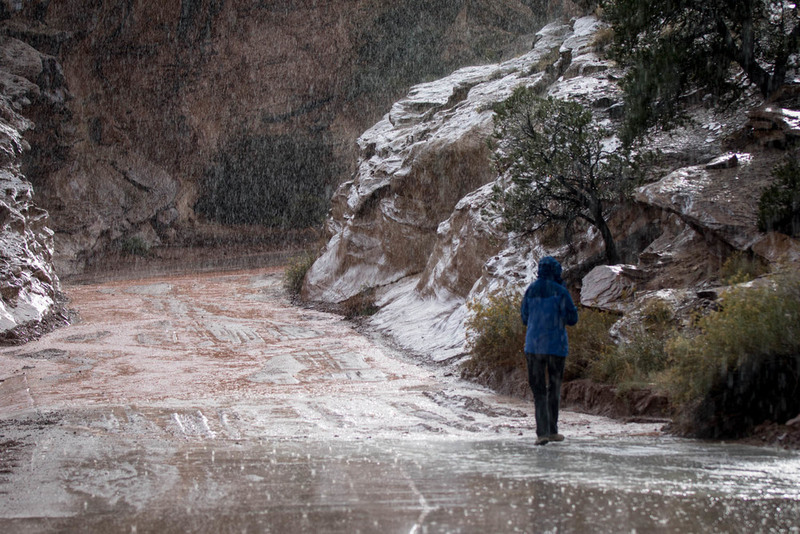 Drove the main paved road south from the camp to Capitol Gorge where it rained. Observed flashy nature of local runoff channels. Meager amount of precipitation resulted in runoff that covered road in low spots. We returned to the main area of human activity and made sunset images from Sunset Point. This was a busy location but we hope to have captured some interesting material as the earlier storms were dissipating. Although we did not arise early, we did arise in time to get low sun-angle photos of the historic district. 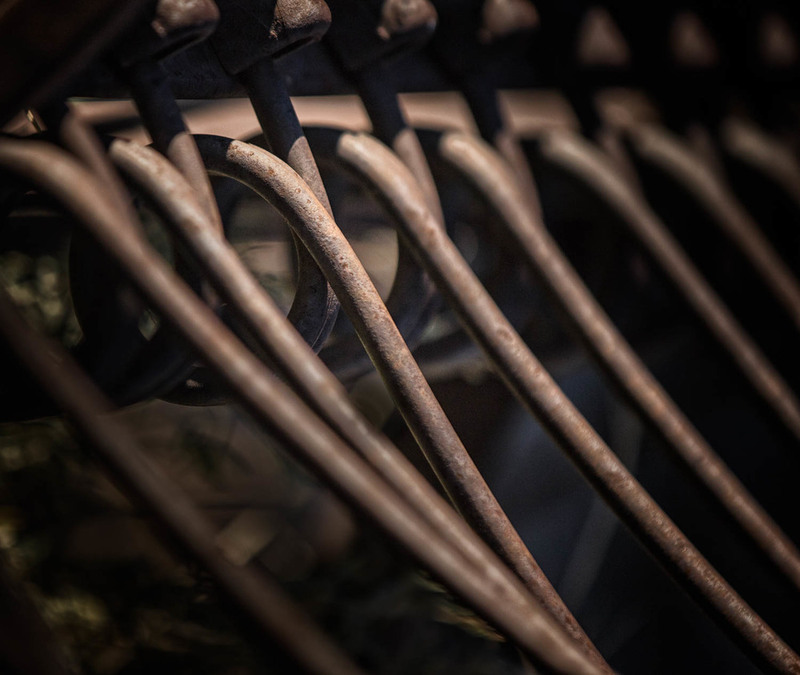 The Captain was particularly intrigued with the numerous old and discarded farm implements of the “blacksmith” shop. One could surmise that the smith was of quite melanistic coloring. This would be incorrect. Apparently the lack of light in the smithy leads to the name “blacksmith”. Or this could be a reference to the black walls and ceiling from inadequate pollution control and ventilation. We also visited a building where local baked goods were being hawked. The cherry pie was excellent; the cinnamon roll relatively large and very good also. The main task for the morning was a recon of the Notom-Bullfrog road down to Park Boundary. We had received intelligence that this was a suitable location for sunrise images. This seemed reasonable given the road is on the east side of the main ridge (reef) that makes up most of this “park”. A walking transect was made approximately ¼ mile up a drainage from this road. Local reptilian and avifauna were observed. No exceptional species were observed. Due to the recent precipitation, the more southern reaches of this road had many wet and muddy spots and turned very sloppy slightly after crossing onto lands managed by “NPS”. Turned around and hiked up to the Hickman Bridge. Had a near terminal failure on the new imaging support equipment (locally known as “tripod”) when a foot detached from its distal leg segment while being transported to the bridge area. The First Officer backtracked and was unable to locate the missing piece. Fortunately, a fellow traveler located the piece and returned it to the Captain. The First Officer has added regular torque checks to the tripod equipment checklists. The evening was spent with the imaging equipment attempting to align an old barn, the Milky Way, and other pleasing visual elements in the Fruita area. Unfortunately, the local agriculturalists had implemented flood irrigation protocols in the key location the crew had scouted earlier. This turned the optimum imaging location into a lake unsuitable for humans equipped for desert conditions. The crew made the best of the situation but the frustration quotient warning level was elevated. 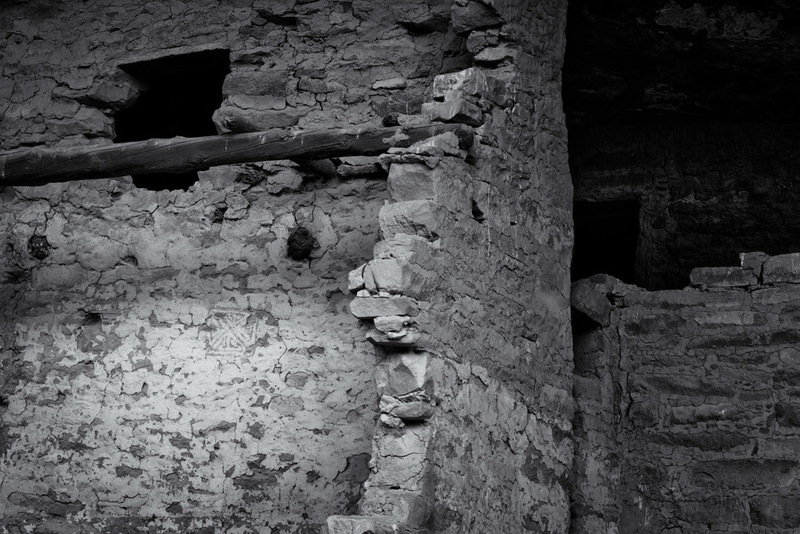 Once again the crew returned to Fruita in early morning to photograph old stuff in and around the blacksmith shop. Previous imaging attempts had been determined to be “unsuitable” upon review. Today’s imaging was determined to be “adequate” with maybe a “good” though none in the “exceptional” category. The frustration quotient warning level remains elevated. Exploration then moved to the Capitol Gorge Road where the crew walked several miles down the canyon. Local administrative unit transportation infrastructure maintainers appeared to be operating equipment ahead of us in an attempt to open the road for city-appropriate vehicles. After considerable time the crew was able to overtake the maintaining machine. (Unknown whether the locals refer to this machine as a ‘grader’, ‘maintainer’, or ‘mud slopper’.) After catching up with the maintaining machine the crew realized a map interpretation error had been made. Our intrepid crew thought a scenic destination was a mere 2 of the local “miles” units down canyon. Upon reaching the vicinity of the maintaining machine, it was realized that the 2 “miles” applied from the end of the road being maintained, not from the location where our power unit “Buzz” had been left in stand-by. The crew then calculated that a moderate walking journey would become an 8-10 mile trek if the crew deployed all the way to the Tanks (our original destination). The crew then returned to “Buzz”. Total deployment length estimated at 5-6 miles. The frustration quotient warning level now at very elevated. A recon mission was then undertaken down the Grand Wash canyon in anticipation of evening imaging. This area had several areas where uranium oxide had been removed in the hopes of obtaining potentially fissionable uranium. Warning signs strongly suggested we not imbibe the surface water (at less than 3 miles from camp, the First Officer suggested he would rather crawl the 3 miles with two broken tibias, than drink surface water. The First Officer also wondered how the flying mice creatures survive the radiation and toxic gases. The FO was cautioned for impertinence.) The recon determined that the canyon did provide potentially suitable imaging opportunities for combining artificial illumination of the cliff faces and astronomical features. The frustration quotient warning level was reduced to elevated. Additional imaging exercises were completed upon canyon egress. Sunset images were made at Panorama Point. The crew later evaluated these as having “potential” but certainly did not meet exceptional rating. After quickly pausing for evening sustenance, the crew returned to Grand Wash to complete the evening image tasking. The crew determined that the photos may reach the “good” level. Post-mission processing will be needed to obtain maximum results. The day started with a mostly cloudy sunrise as we broke camp and started toward our next destination of Kodachrome Basin State Park. Approximately 12 miles into the Utah area, we suffered a mechanical malfunction of the Number 1 starboard traction device on the living module (aka Puma Palace). The Captain had the helm at the time of the incident and was able to find possibly the only sufficiently wide location to change the failed device. Inspection by the First Officer revealed that not only was the tire destroyed but the malfunction had also removed the starboard fender flare. The loss of support caused the #2 starboard traction device to rub on the upper wheel well resulting in abrasion wear thru the underlying water piping. Additionally the starboard fender flare when it departed the vehicle caused wrinkling and deformity damage to the lower starboard fore metal flashing ahead of the wheel well. One of the attachment points of this metal piece was pulled loose and not available for re-attachment, as the resulting hole in the sheet metal was too large. Fortunately, the First Officer with the aid of the Captain was able to affect a change of traction devices and utilized the spare traction device to replace the shredded one. He was also able to re-attach the lower starboard fore metal flashing using an underlying metal screw. After an hour of on-site repairs the mission vehicle returned to travel and proceeded onward to the town of Beaver. In Beaver, we were able to locate a shop specializing in repair of wheels. While in dry-dock for wheel repair, the maintenance techs also determined that the other three tires were near failure. Further inspection also revealed that the suspension components were very worn and may have contributed to the initial incident. The Puma Palace crew made the decision to move forward and implement repairs of the suspension components and all four tires. Approximately 1 hour later the Puma Palace proceeded to a depot purporting to purvey Puma Palace parts. Two fittings were obtained that were estimated as being sufficient to fix the H2O supply lines. The crew then refueled and resumed travel towards the goal of the day. The people of Beaver rejoiced at their good fortunes and that many children would now be able to attend tertiary schooling, all thanks to the repair and maintenance of the Puma Palace. Upon arriving at our pre-arranged camp location in Kodachrome Basin, the First Officer attempted to fix the problematic H2O supply line. A sufficiently tight seal was unable to be obtained due to the abrasion incurred by the line. This resulted in a 6-8 cm flat spot on the supply line obviating a sufficient compression seal. Decision was made by the crew to seek additional tubing to replace the damaged line at nearby towns tomorrow. The crew ended their day late and tired. Hopefully, the parts will be easy to find tomorrow and we can return to our imaging mission. Log reviewed by Captain. First Officer counseled for insufficient detail. Will attempt to rectify in future. After obtaining parts, we decided to recon the Bryce Canyon National Park. We visited Bryce Point where large shiploads of hundreds of people from other political subdivisions were dropped. These hordes have no sense of propriety when it comes to interpersonal space. We managed to find our way to the southernmost portion of the park where the elevation reaches in excess of 9100 of the local feet units of distance. We also experienced low volume precipitation the locals refer to as sprinkles. As velocity limits are quite low in this area, and we did a thorough recon job, we returned to our current camp near sunset. The decision was made to return tomorrow, prior to sunrise, to continue our imaging mission. 0515. Wake up for crew. We held to the schedule and were the first to arrive at the designated point. This was well in advance of the official sunrise time of 0726. We found on arrival a brightening eastern horizon and clear skies. Not optimal for imaging. By sunrise, the hordes had descended on our location. Having arrived early we refused to budge from our selected locations. Images were collected until the sun had reached approximately 17 degrees above the horizon. By this point the hordes had again dispersed to other locales and the Captain and I were alone on the point. We disassembled our equipment and returned to the Shuttle Craft “Buzz”. As we departed the docking space, several of the large personnel carriers arrived and began to disgorge another horde. Our timing was nothing if not good. After repairs, we explored the area near Grosvenor Arch. This double arch is removed from the hordes by 11 miles of dirt road. Therefore, the hordes were absent. We did encounter 5-6 other vehicles exploring the area but the crew enjoyed the solitude of the experience. We would have explored farther afield but the road had been deemed impassable and closed. Clouds pregnant with precipitation were approaching rapidly so we returned to camp. Evening skies were lit with flashes of sheet lightning and our sleep period interrupted with the sound of sometimes moderate rainfall. 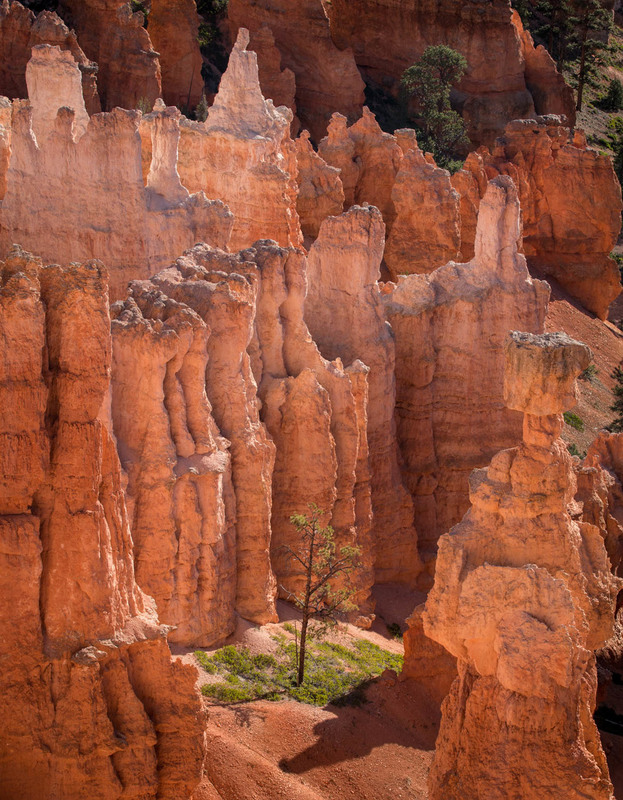 Today we decided to return to the Hall of the Hoodoos (aka Bryce Canyon). The rainfall overnight continued today. The Captain even observed one cloud-to-ground lightning strike. The First Officer immediately implemented the lightning detection protocol and deployed the automatic triggering system for the imaging system. Unfortunately, no further lightning was observed and the system remains untested in practice (although the crew did successfully test the equipment pre-deployment at Fall River Base). Many images were made but the crew found the results less than satisfactory as the atmospheric conditions were deemed dull and uninteresting. Heavy rain was observed in the vicinity of camp. The Captain was able to communicate via text with the detached shore parties in San Diego (ASE Scottie) and Glynco (SA(T) Heather). All seems satisfactory at both locations. ASE Scottie had completed a Ragnar Relay (which is not a piece of aerospace engineering as one would expect but a long distance foot race). SA(T) Heather continues her training and is looking forward to completion of this phase in 2 weeks. Travel routes on the return trip to camp were very muddy where runoff had overtopped the road in many locations. Rainfall seems to be a common occurrence that has been poorly planned for in this area. Tomorrow we move camp locations. This is the first in a series of stories about a recent trip to Utah. We thought we would try something different, at least different for us. We hope you enjoy this combination of travelogue, photography and (hopefully) humor. Again, it begins. We departed Puma base for an exploration of the Canyons and Rocks Territory of the political subdivision of Utah. RON site of RNO was chosen in order to top off certain procurement items. The Captain was concerned about her personal uniform allotment for cold weather. No adequate clothing at non-gouging rates was located. We did add a high-intensity light to the equipment list, replacing the antiquated 1980s model light (yes I know – 1980s.) Finished the preparations in RNO with a gorging on slabs of beef. Note to crew: No gorging on slabs of beef prior to important rest periods as the phenomenon referred to locally as “meat sweats” is likely to ensue. Today we traveled across the political area known as Nevada to a location known as Cave Lake. The local fauna is very friendly. We visited a local informational location and observed a large bird known as a dusky grouse. The bird walked up to and under our vehicle presumably in attempt to elicit meal items. This was a very strange behavior for a supposedly shy animal, but easily explained given the small brain pan (size of a small ball bearing) of this creature. They must be prolific reproducers to be this stupid. Later, back at camp, a member of the Sciurid clan continually asked for alms. Said individual tried to climb on the Captain multiple times. The Captain tried to shoo the animal away but the animal was nothing if not persistent. The Captain attempted to retrieve a squirrel repellent spray from the Puma Palace but the First Officer had not placed the spray in the proper weapons locker. The Captain then launched preemptive strikes with small locally obtained stony projectiles, striking the impertinent creature at least twice. Eventually as darkness approached the animal departed. The day started as the Captain was awakened by the First Officer thrashing in his sleep. In retaliation the Captain awakened the First Officer. The First Officer was quite perturbed to be suddenly awakened from a dream about warfare with the Sciurid clan. Unfortunately the First Officer was unable to achieve definitive victory due to premature awakening. The crew then went for an exploratory foot excursion to the eponymous lake. The lake is about 15 of the local acre units. There were several of the Osprey fisher birds obtaining their morning meals as well as approximately 100 of the Coot clan. Other avian folk observed included ruby-crowned kinglets (smallest crowns in the known universe), spotted sandpiper (not currently spotted), and the near ubiquitous red-shafted flicker. Upon returning, we dined al fresco where the Captain was attacked by a small-feathered species referred to by locals as a mountain chickadee. The Captain was not amused. The First Officer found it hilarious. Today our vehicular exploration first took us to the Ward Charcoal Oven State Park. Made many images of these historical structures in the middle of the day. We then drove the Surprise Loop road. This road loops up on a mountain behind our camp and back down to just north of the burg of Ely. Road was of native surface but in good condition and suitably wide. There were some areas with good vistas but the main attraction was a long riparian area with aspens whose leaves were being shed. Again many images were made. However, strong winds affected the area limiting some opportunities for walking and image making. Near the end of the loop we made contact with Special Agent (Trainee) Turner at her TDY training facility at Glynco. All copacetic on that front. Our original plan was to return to camp for evening repast but as we had spent so much time on image making, we thought it prudent to return to the ovens and take sunset pictures. As evening slid toward darkness thunderstorms and lightning enveloped the eastern horizon while the Milky Way appeared overhead. Many images were again made. This delayed our return to camp necessitating foraging in Ely. A very sub-par offering was had at the Clan of the Double Arch. Service was absent –literally. We stood for many minutes waiting for service. The Captain was not happy. Then service personnel forgot eating utensils, then drink machines were inop. Then service that did occur was surly. Possibly the first known rating of minus stars. We returned to our bunks in time to be serenaded by a close thunderstorm, which delayed the onset of welcome slumber. A windy morning over Hatchet Mountain. When we travel between Southern California and where we live in northeastern California, we often stop at Mono Lake. Recently we stopped there again. The unusual part was this time Boyd spent more time looking at the feathered birds than the metal birds that were dropping water on the nearby Walker Fire just up the hill. Why the feathered birds? Because Mono Lake provides an interesting break for humans as well as birds. On this trip the stars were Wilson's phalarope, Least Sandpiper, and a Sage Thrasher. Wilson's phalarope breeds in the intermountain west between the Rockies and the Sierra/Cascades. They fly to the southern parts of South America for the non-breeding season. These little 9 inch birds travel thousands of miles to avoid winter after tanking up at Mono Lake on brine shrimp and brine flies. Interesting phalarope trivia: unlike most birds, the females have brighter plumage than the males and are the more "aggressive" at courtship. When trying to avoid winter, Least Sandpipers don't travel quite so far as phalaropes. At only 5 inches long, these little shorebirds are pretty small. But fueled up on brine flies they cover some serious distances. They breed in the sub-arctic areas of North America and travel as far south as the northern areas of South America. Sage thrashers don't travel nearly as far as their smaller wetland neighbors, they only go to northern Mexico. This probably is related to having to find food in the sagebrush communities they live in. They just haven't learned about the tremendous biomass of brine flies on their doorstep at Mono Lake. 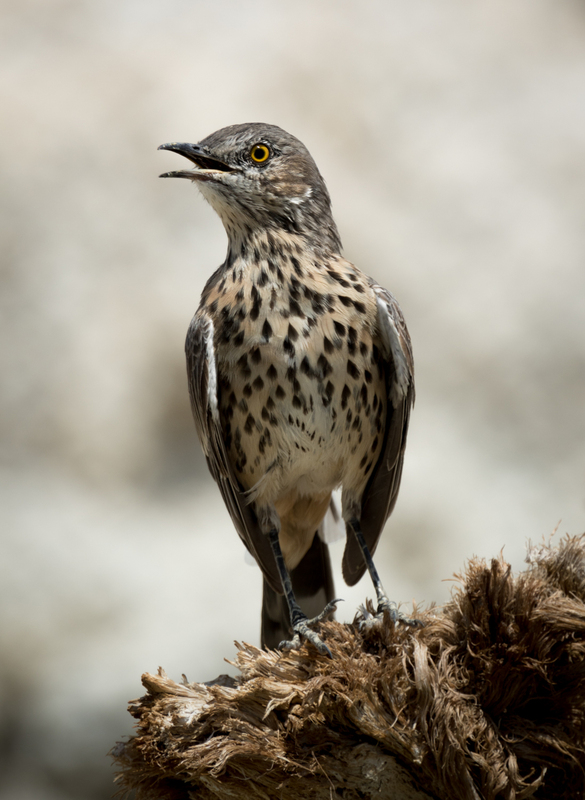 Given how fast sagebrush communities are changing (primarily from invasive species from the Asian steppes) maybe the sage thrasher needs to learn from its smaller cousins. And just for the record, we don't stop at Mono Lake to fuel up on brine flies. They are too salty for us. It may be hard to remember that Spring only ended five days ago. Here in the Intermountain area of northeastern California, temperatures are hot. Like century mark hot. 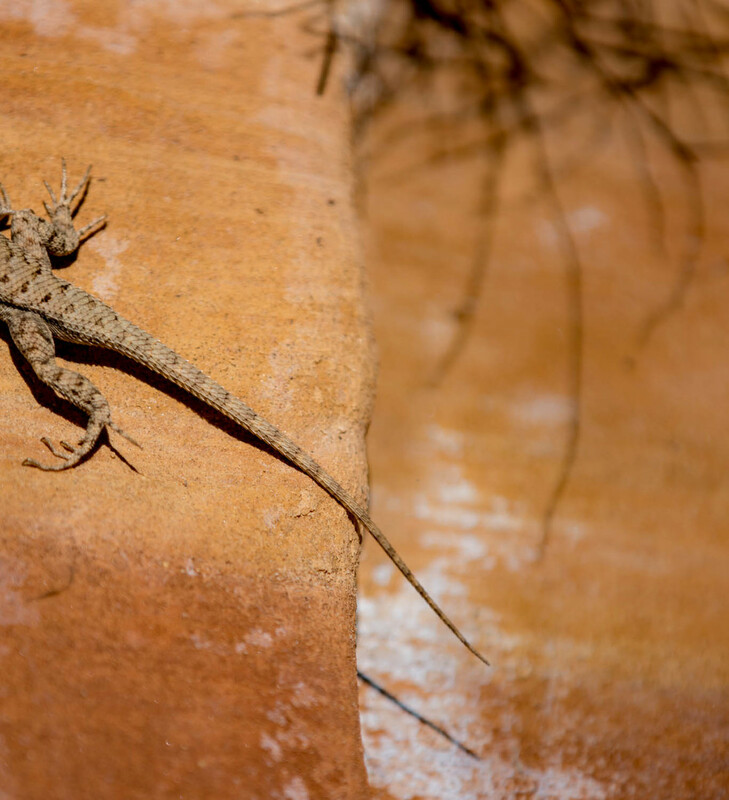 Like even the lizards are looking for shade hot. 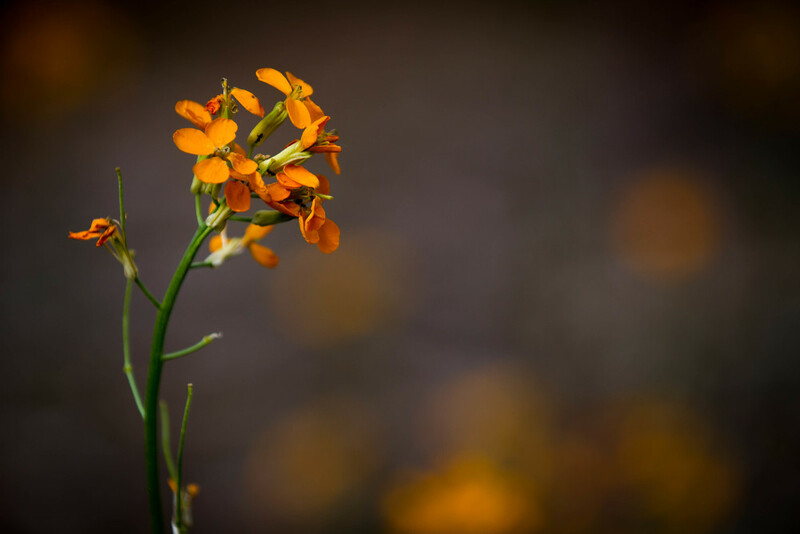 So we thought we would post a few photos of spring flowers to hopefully ease the transition. Do you see blue or purple? Between the giant anthill known as Los Angeles and the slightly smaller anthill known as the Bay Area lies a lesser known area of California. Some residents call it the Middle Kingdom. And like all good kingdoms, this kingdom has a castle. This is not a dark foreboding castle but one of art and sensuality. This is a castle of colorful gardens, set on a hill above a shining sea and populated by the most beautiful people of its day. Like many kingdoms, this castle fell from favor as its aging monarch fell into old age. But fortunately, the greater Kingdom of California now manages this place and attempts to keep at least the appearance of its former glory days. We visited the Middle Kingdom recently and made the journey to the Castle. And though we are not fans of conspicuous consumption, we are (or at least try to be) appreciative of art and craft. Take this cottage for instance, how can you not find it at least attractive. Maybe not your style or ours, but attractive. 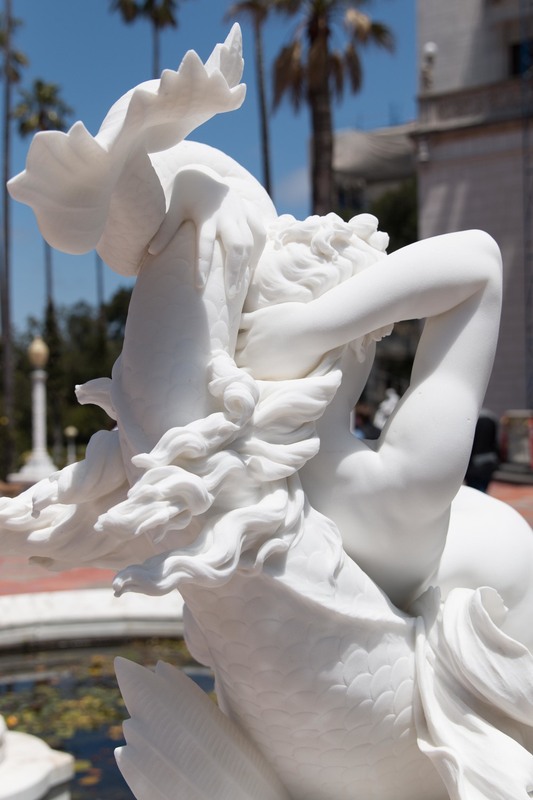 And those gardens filled with art and flowers, imagine a warm spring afternoon wandering through the gardens with a beverage from the cellar in hand. And as for sensuous, have you seen this pool? Can you imagine it in the light of a full moon? Think you could get lucky here? But like many royal projects someone should have told the King to stop, or at least "Mellow out , dude" (Hey it is the Middle Kingdom - people talk that way there). Can you imagine waking up after a long night of liberating libations to this ceiling above your bed? But the ornate is not found in just one or two rooms but in every room. And outside, marble statues are insufficient, there must be gold statues as well. Eventually, as we wandered the grounds and took the tours, the opulent and ornate ostentatious display of wealth became over-bearing. We left the Castle to return to what we think are the true treasures of the Middle Kingdom.... expansive landscapes and the shimmering sea. What's the name of your tree? Last week we were out on the McCloud River taking pictures. This week we were helping the local environmental education foundation (Spring Rivers) with the Foundation's field trips for local school kids. The two don't seem that related. But sometimes things have a way of coming together. Kid: I know what the name of my tree is. Adult: Really? 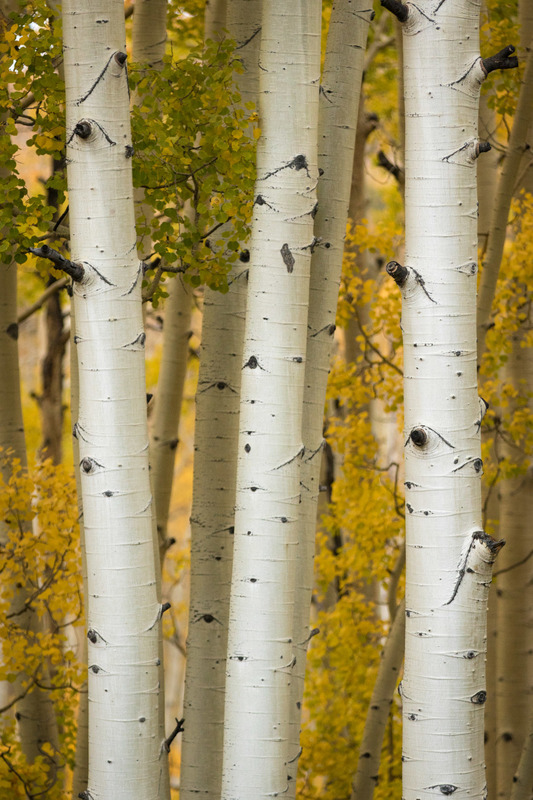 What's your tree's name? Lighten up. You light up my life. Light on the water. Night Light. We are confused what to call this story. We enjoy looking at and photographing lighthouses – they come in all varieties, sizes, and heights, with each colored in a unique paint scheme used by mariners to pinpoint their position along nearly indistinguishable shorelines. Their light provides a winking shaft of reassuring security through the shrouding fog or gloomy darkness. The technology is pretty amazing for basically being little changed since the 19th century. A Fresnel lens allows a beam of light from a puny little halogen lightbulb to be seen 25 miles out to sea at Cape Blanco in Oregon. Other lights being closer to the surface of the water can't be seen so far away. Halogen bulbs inside the Cape Blanco lighthouse Fresnel lens. Yes that is the ocean in the background. Maybe it isn’t always a welcome sight. So maybe the attraction is just the story. Maybe the symbolism of the light is what attracts so many landlubbers to this nautical aid? Or maybe just because they are built in cool places where the water meets the land. They may be mostly an anachronism but we think they are pretty interesting anyway. Detail of the edge of the Fresnel lens of the Cape Blanco, Oregon light.